Are We Exploiting All Animals, Including Pets? There has been much celebration of the Ringling Bros. and Barnum & Bailey Circus decision to retire elephants from their acts (in 2018!). 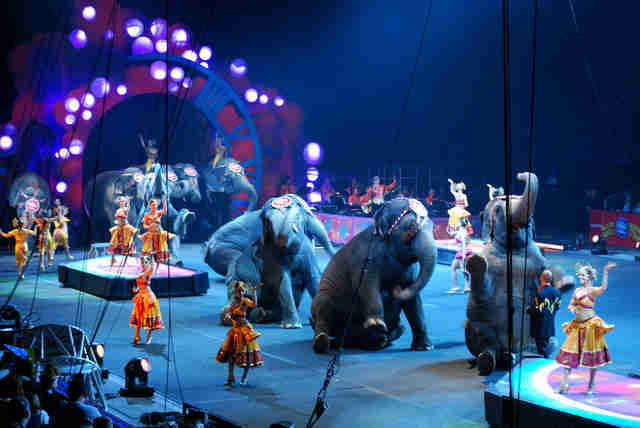 Given the way animals are used in circuses around the world, there is ample room for skepticism. Circuses don't have animals in their acts because they love them; They have them because they love the money they bring in. It is in the very nature of the circus to exploit. When audiences wanted to see Africans in cages, circuses complied. Audiences stopped wanting that. And today, they have stopped wanting to see elephants. Big cats remain in cages. Still, good for the many citizens and members of the media who recognized the agony that elephants have been forced to endure. Now, as the elephant applause fades, is a good time to think more deeply about animal exploitation. Yes, elephants are amazing creatures: They are compassionate, sometimes even to other species. They are highly intelligent. They have a sense of justice and are wonderful mothers. Who could not love them? And they are endangered: the population of elephants in central Africa decreased by almost two-thirds between 2002 and 2012. Still, there are few people in the world who are indifferent to elephants. Or chimpanzees, or gorillas. Thanks to public pressure, killer whales and dolphins are increasingly on the consensus list of species we consider it immoral to imprison. Fortunately, finally, people are starting to ask whether we have the right to treat other types of animals as beings to be used for pleasure or profit. I think of the carriage horses in New York City. I have no doubt that some or most of the people who work with these horses love them. But you can love someone to death. And can we really say that these horses "want" to work the hot streets for hours a day? Why would they enjoy this, when they are herd animals whose ancestors roamed freely with others of their kind, owing allegiance only to one another? And if that is true, why stop there? What about zoos? How can you say that the animals in them have good lives when we lock them into enclosures thousands of times smaller than their natural habitat? For animals, mobility is freedom. But we can go much further: does anyone, anywhere, believe that hens packed in tiny cages to lay eggs for us have a good or even tolerable life? Are these animals so robotically stupid that they have no idea what is happening to them? Of course not. Cows, sheep, pigs, ducks, geese, rabbits. These are all animals who are exploited on farms for their milk, their eggs, their skin, their children, their flesh. Nobody, any longer, believes we do this for their sake. We do it for ours: for profit, for taste, for fun. And, much as I hate to go there, what about dogs and cats? I love living with them and when they live with me and millions of people like me, they have a good life. But was it the life that nature intended them to live? My dog Benjy would sometimes give me a look, when I gave him an order, that was part sadness, part defiance, part puzzlement: "Who are you to tell me what to do?" he seemed to say, and I felt shame. We have evolved, possibly for the last 35,000 years, to be together and to enjoy being together, but is this the life Benjy evolved to live? Guide dogs, therapy dogs, hearing dogs - yes, they seem to love what they do, but is this enough grounds to justify what is, after all, a form of slavery? Where will it end, you may understandably ask. I don't know. We are at a very unusual historical point in our relation to animals: Suddenly many are asking uncomfortable questions about a subject that we thought we already had mastered. We hadn't. The time will come, I am sure, though I am not sure when, when we will look back at even the most benign forms of animal exploitation in horror tinged with sadness. "How," we will ask, "could we have been so blind to the suffering of others?" I am not sure what the answer will be, but I would love to be alive long enough to learn it. 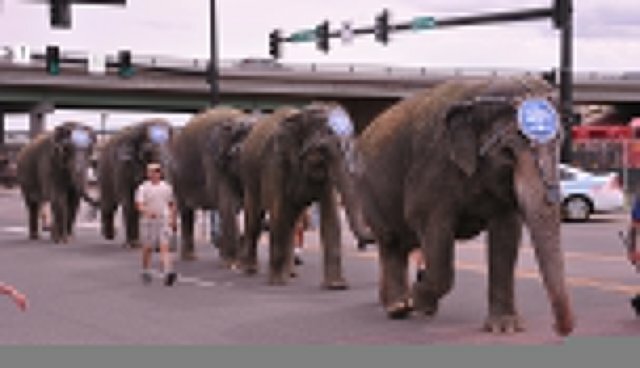 Masson is author of "When Elephants Weep: The Emotional Lives of Animals" and other books.